What Is GoPro Fisheye? How It Works and How to Remove It? GoPros are excellent at creating a variety of splendid shots and looks. It's the go-to piece of kit for X-sports, regular exercise, family activities, and even those willing to make vlogs on the fly. Yet if you've ever used GoPro or any other action cameras to shoot videos, you'll find your footage are distorted into barrel shape, which is often said of GoPro fisheye effect. Fisheye is an strong wide panoramic or hemispherical visual distortion effect produced by an ultra wide-angle lens. The GoPro has been designed to capture as much content as possible in front of the wide view angle. This means that the edge of the lens could distort the light that comes into it. The light blends, then projects onto the sensor, creating an almost circular distortion around the edge of the image. Thus your camera could capture more contents from a wider perspective. Fisheye effect has been a trademark of GoPro. And most of times it comes very in handy, allowing you to capture more of the actions through a wide-range lens. While there are also some times fisheye look gets annoyed since it distorts what the camera is seeing with wide view angle. And as you change the lens on your GoPro, the resolution will be the same, but your angle of view will vary, leading to a various degree of fisheye distortion. Whereas, if you pick a narrower FOV, you will not lose quality but simply in a narrower perspective. There is a Field of View (FOV) option in Video Settings for GoPro Hero 7/6/5. It has 3 modes: Linear, Wide, and SuperView, enabling you to shoot videos in various view angles. Depending on which FOV you're using, the angle will change. ● Superview FOV captures the widest angle possible, up to 170 degree angle, giving you a symbolic GoPro fisheye look. It's a great option when shooting action or shaky occasions. The wider the frame, the more stable your footage looks. Besides, it gives your more flexibility for GoPro video stablization in post-production. ● Wide FOV allows you to record in a 120 degree angle, which still has a slight fisheye effect but it's acceptable comparing with the widest Superview. Thus, it's usually used to lessen the fisheye look of Superview FOV. ● Linear FOV is more comparable to DSLR footage because it shoot GoPro videos in 90 degree angle. This is the best option for non-action shots such as vlogs, interviews etc. Obviously, Superview and Wide FOV will lead to fisheye distortion, but Linear FOV won't. You absolutely can choose Linear FOV to avoid fisheye look, yet Linear FOV is not supported in certain cases like 2.7K and 1080p Time Lapse recording and 4K UHD videos recording, which yells out you to shoot in Wide or SuperView mode and then make a lens distortion correction in post processing. Want to correct fisheye effect from your GoPro footage? - Support all general-purpose video formats, like 4K HEVC, H.264, MP4, MOV etc. - Edit/cut/crop/merge/compress/enhance GoPro footage easily. - No.1 fast to process GoPro Hero 7/6/5 4K/HD videos with GPU accelerated. - Output intact quality of GoPro footage without losing frame. Free Download VideoProc to Correct Fisheye Distoration Now! The fisheye effect is beneficial for extreme sports shots such as skiing, surfing, motorcycling, hiking or any activities that the subject is in the center of the frame. Actually, GoPro fisheye lens are deliberately designed for these scenarios to shot cooler videos and highlight the center. But more often than not, you'll never want a fisheye look on your GoPro footage. For example, when you're using your GoPro on a drone and you don't want the horizon line to be bent, or you just need a wider view angle instead of curved footage. So how can you turn it off? What if you don't want fisheye effect on your GoPro Hero 7/6/5 footage? Is there any way to remove fisheye from GoPro video? Sure, there is. And it's quite simply too. Just try VideoProc, a marvelous GoPro fisheye removal software both on MacOS and Windows. It helps you stretch the image out and then crop the least edges of your footage, so your video would keep a wider perspective, but no fisheye distortion. 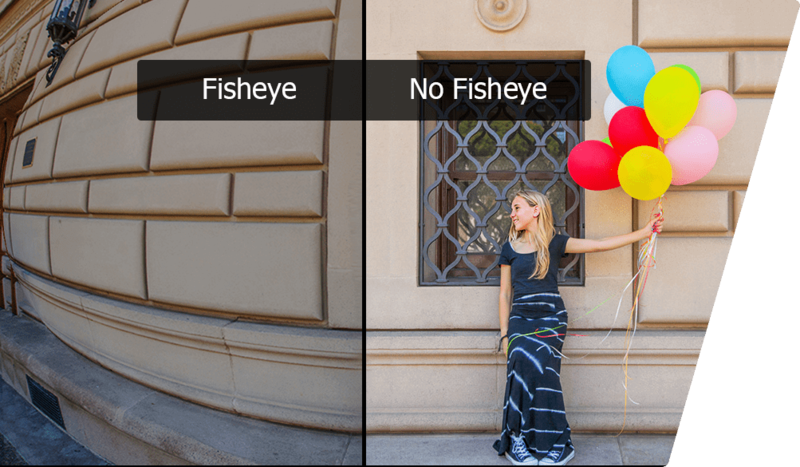 You can adjust the specific parameters to achieve the fisheye correction degree you want. The program is also able to stabilize shaky GoPro 4K videos, remove background noise, enhance GoPro video quality and do basic editing like cutting, cropping, merging, rotating etc. With the full support of unique level-3 GPU acceleration techs, VideoProc maximizes Intel/Nvidia/AMD GPU usage on GoPro HEVC and H.264 encoding, decoding and processing, reaching a 5 times faster speed than any rivals, with the highest possible quality maintained. At first, free download the Windows version or Mac version of the GoPro fisheye removal software. It's available on Windows 10/8/7 or Mac OS X 10.6 or above. Step 1: Launch the program. Click "Video" on the main interface and then tap "Add Video" button to load your fisheye look GoPro clips. Step 2: Click the "Toolbox" at the bottom of the interface. Then double-click "Fisheye" button to enable GoPro fisheye removal lens option. 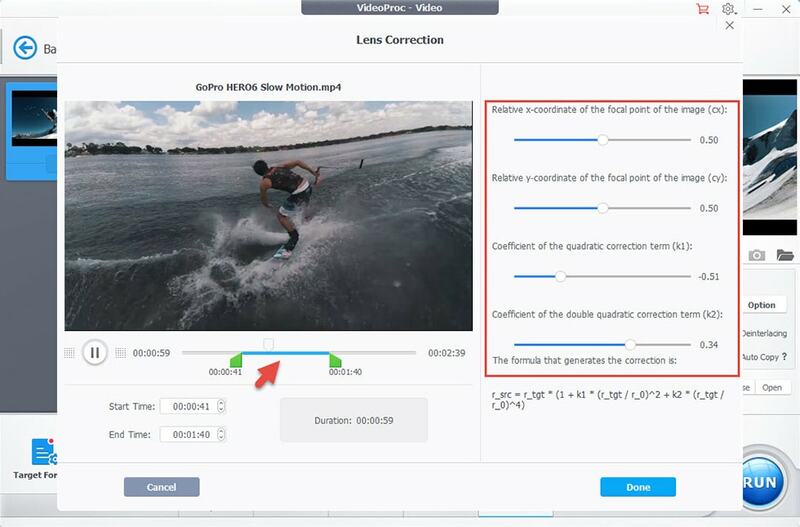 In the result window, you can set the fractions of cx and cy to determine the central point of your GoPro video and adjust the coefficients of the (double) quadratic correction in k1 and k2 to zoom in or out focal length, so as to straighten the distorted edges horizontally and vertically. You can preview the defished fisheye video in real-time at the left of window. Additionally, you can move the bars below the preview window or enter in start time and end time to cut off unwanted GoPro videos. Once finished, click "Done". Step 3: Hit "RUN" button to start correcting GoPro fisheye distortion. Hardware acceleration is enabled by default if you have eligibly powerful graphic card. So the whole GoPro fisheye lens correction process will be accomplished pretty fast without any lags or stuttering. Post-production could be an unskippable step to get rid of fisheye on recorded GoPro videos. While for videos to be recorded, you have another choice to avoid fisheye look radically, which is to adjust GoPro camera FOV. If you're using GoPro HERO7/6/5, you can use Linear mode. This is the quickest way to get rid of fisheye look, but not the best in my opinion, as it doesn't apply in all resolutions and frame rates, as well as time lapse videos. Meanwhile, if you ignore the best settings of FOV for different activities and insist on using Linear mode, you may lose the best visual effect of your GoPro footage. Here are the video modes that Linear FOV is unavailable. Whenever you are using any of the other FOV settings except Linear, the fisheye effect will still be there, but it will be more or less dramatic depending on which one you use. The wider the shot is, the greater the fisheye effect will be. Comparatively, Narrow and Medium mode will reduce the fisheye effect, but you will capture less of actions in GoPro HERO4 Black or earlier. So if you're OK with a little bit fisheye effect you can use such modes. Check how the GoPro footage looks in Normal, Narrow and Medium FOV settings. However, we still recommend you to use wide-angle lens to capture cool footage with GoPro, as the GoPro wide and superview lens allow people to capture scenes that have never been captured before. It's amazing for shooting in tight spaces, first-person perspective, fool-proof framing as well as selfies and team footage. If there is an fisheye distortion, VideoProc will come to rescue, helping you straighten your curved edges without losing too many of contents around the periphery. 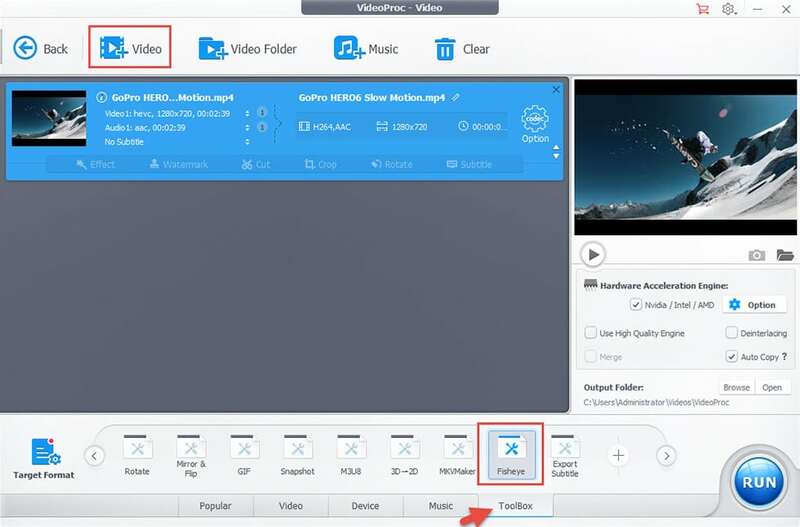 Free download VideoProc to have a try right now! 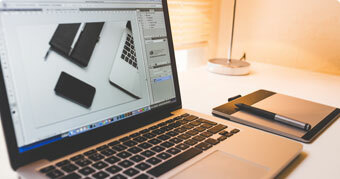 Nicole Moore is a self-motivated, creative copywriter with four years of marketing and advertising experience, specializing in video, audio, images, advertisements, news digital content etc. With a partiality for travelling and shooting, Nicole also loves video post-production and is keen to share her video processing tips and latest masterpieces to social media.